Our three-story house had an outside toilet. There was no indoor tap when I was very young. I have a distinct memory of my mother doing the laundry in a large galvanized iron tub under the outside cold-water tap. We used the public baths, of course, and eventually we also used a commercial laundry. Gas light was eventually replaced with electricity, but this did not extend to the outside toilet, where a candle provided the only light. ... a drawing lesson once a week. Before taking some students to a swimming class, the drawing master would set out an assortment of cones and cubes (I do not remember any spheres) for the rest of us to sketch. On his return, he would look through our drawings and cane on the hand any unsatisfactory artists. His criteria were never explained. Gibbins, was a lover of geometry, particularly of conics. [He] had piercing eyes, and a bad stutter (which he seemed to ignore) added to the intensity of his speech. ... There was a concentration on mathematics at his school, but the arts and sciences were not neglected, and there was even woodwork for the junior classes. ... Gibbins was a good pianist and encouraged music at his school. ... The language instruction at Gibbins' school was especially good; I left there having enjoyed seven years of French and six of German. My brother Arthur, who was about thirteen years my senior, first became a schoolmaster at a private grammar school, and then entered the actuarial profession, which involved passing rather difficult exams in probability and general law. He was very successful. His seniors knew his origin, but by changing his name from Abraham Cohen to Arthur Pedoe he avoided any awkward confrontation. With his fair, curly hair and blue eyes, Arthur could "pass" as a gentile. My slightly older brother Joe had red, curly hair and blue eyes, while I had fair hair and hazel eyes. I was sometimes smiled at by gentile neighbours as being "one of us," which hardly pleased my mother. ... Anyway, when I was twelve, Arthur changed Joe's name and mine to Pedoe, a contraction of our mother's name Pedowicz, to which he felt we had a right. C Smith, Algebra and Analytical Conics; Loney, Trigonometry, Parts I and II; Macaulay, Geometrical Conics; Loney, Statics and Dynamics (no calculus used); Edwards, Differential Calculus; Williamson, Integral Calculus; Besant, Hydrodynamics. He also read Casey, Sequel to Euclid; Chrystal, Algebra, Vol. II; Salmon, Conic Sections; Hobson, Trigonometry; Burnside and Panton, Theory of Equations; Routh, Dynamics of a Particle and Rigid Bodies; Minchin, Statics, including Theory of Attractions. I tried to attend his lectures, but sitting uncomfortably on canvas chairs in a small room as Ludwig walked up and down wrestling with his thoughts, producing words at the rate of fewer than one per minute - all this was too much for me. Russell's lectures had an unusual characteristic: they were deliberately fabricated to repel students. His main interest, however, was in geometry. He attended Henry Baker's lectures on Italian algebraic geometry and began working towards his doctorate advised by Baker, publishing the papers An extension of a fundamental theorem in the theory of surfaces (1934), On the virtual grade of curves on an algebraic surface (1935) and On a class of irregular surfaces (1935) on this topic. He had also read van der Waerden's papers on the algebraic foundations of algebraic geometry. Feeling he needed a break from the Cambridge atmosphere, he made arrangements in 1935 to visit the Institute for Advanced Study at Princeton where he worked with Solomon Lefschetz. Returning to England in 1936 he was appointed as an assistant lecturer at the University of Southampton. In 1937 his papers On the canonical systems of certain algebraic surfaces and On the representation of circles by means of points in space of three dimensions were published. He submitted his thesis The Exceptional Curves On An Algebraic Surface to the University of Cambridge and, after being examined by Henry Baker and William Hodge, he was awarded his Ph.D. Around this time Pedoe married the geographer Mary Tunstall; their first child was a daughter Naomi, followed by twin sons Dan and Hugh, born on 30 December 1939. By this time World War II had begun and his next paper Some properties of the paraboloid z = x2 + y2 (1939) had been published in the Edinburgh Mathematical Notes. I taught a junior class of twelve-year-olds at Winchester as well as the top class, where one of the students was young Freeman Dyson. I was not asked to teach Dyson's class geometry, but just to continue with a set of problems on infinite series. In Southampton, my university class could do about six problems for each homework, but Dyson's class turned in thirty or forty! I found the junior class rather difficult and noisy. Once, after I had been up all night in an air raid, I appealed to them to make less noise. They calmed down for about five minutes. In 1941 Pedoe began his collaboration with William Hodge on the famous three volume book Methods of algebraic geometry. It was a letter from Hodge to Pedoe which began this collaboration and we give this letter at THIS LINK. You can read short extracts from the review of Methods of algebraic geometry at THIS LINK and a Pedoe's account of Hodge at THIS LINK. We found Birmingham a grim place after Southampton. There seemed to be a fine, damp soot in the air most of the time, which did not suit our children. The University consisted of pretentious buildings, bitterly cold in the winter, and the head of the mathematics department, G N Watson, took pleasure in behaving eccentrically. We had no mathematics seminars, and I never heard Watson lecture. 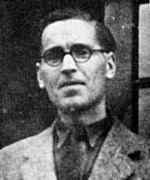 The professor of mathematical physics at Birmingham was Rudolf Peierls who, at this time, was working on the theoretical side of the British project to develop an atomic bomb. He suggested to Pedoe that he should contribute to the war effort and Pedoe was enlisted to work part-time on the improvement of piston rings. In 1947 Pedoe moved to Westfield College, part of the University of London, where he became a reader in mathematics. However, his income was not sufficient to allow him to make a deposit for a house of his own so he and his family had to live in lodgings on the Finchley Road. He also found that the "Westfield College atmosphere was a strain" so, encouraged by his wife who as a professional geographer had long wanted to visit Egypt and Africa, he applied for the position of head of the mathematics department at the University of Khartoum. He was given leave from Westfield to try out this new appointment which he took up in 1952. After a few months, Westfield demanded that he make a decision whether he wanted to return to his post there and, after thinking through the rather difficult decision, he decided to remain in Khartoum and resign his Westfield appointment. Pedoe spent the next seven years in Khartoum. At Christmas, my family left the pea-soup December fogs of London and entered a land of perfect weather, with twelve hours of sunshine every day, cool nights, excellent servants in spotless white robes, no food rationing (unlike Britain), a swim every afternoon, and the undoubted romance of being on the Nile. For much of the year one slept outdoors. I would be awakened soon after sunrise by my servant Daoud gently pressing the big toe of my right foot before placing my tea on the bedside table. I would drink my tea, shower, eat a good breakfast, and settle down to writing books on my Olivetti typewriter. At noon, a trip to the Sudan Club, a swim, a beer, and back for lunch and siesta. It was a good life. While he was in Khartoum, he wrote the two books Circles (1957) and The Gentle Art of Mathematics (1959). For extracts from some reviews of these books see THIS LINK. Purdue was very cut off from the rest of Indiana. The nearest small town, Lafayette, had one cinema and one bar. The mathematics faculty entertained each other a great deal, and the atmosphere was a friendly one. I made some good friends .... I was in demand for lectures, and I was also asked to join the Minnesota College Geometry Project as a Senior Mathematician, the other being Donald Coxeter. The idea of the project, which was funded by the National Science Foundation, was to improve geometry teaching in high schools and colleges, by making films on geometry and writing an accompanying textbook. So I began writing scripts. While at Purdue, he published two books, An Introduction to Projective Geometry (1963) and A Geometric Introduction to Linear Algebra (1963). For extracts from some reviews of these books see THIS LINK. After spending two years at Purdue University, he was appointed to the University of Minnesota. Here he continued to write excellent books, the first being A Course of Geometry for Colleges and Universities (1970) which was republished as Geometry: A Comprehensive Course (1988). He also published Geometry and the Liberal Arts (1976) which was republished as Geometry and the Visual Arts (1983). For extracts from some reviews of these books see THIS LINK. Daniel Pedoe was my teacher when I was studying mathematics as a boy in an English high-school long ago. He gave me my first taste of mathematical research, asking me to work out a mapping of the circles in a Euclidean plane onto the points of a three-dimensional Euclidean space. I found the mapping, and my eyes were opened to the power and beauty of geometry. Many of the properties of circles became intuitively obvious when I looked at the map. Later, I renewed my friendship with Pedoe after we both moved to America. Forty years later, Pedoe discovered 'sangaku'. He was then a professor of mathematics in Minnesota, and there he received a letter from Fukagawa. Fukagawa had written to six mathematicians known to be interested in geometry, informing them of the existence of 'sangaku' and inviting them to collaborate in making 'sangaku' known to the world outside Japan. Pedoe was the only one of the six who answered. He agreed to collaborate with Fukagawa in producing the book 'Japanese Temple Geometry Problems', which was published in English in 1989 by the Babbage Institute in Winnipeg, Canada. Pedoe paid for Fukagawa and his wife to come to Minnesota to work on the book, and he also visited Fukagawa in Japan. He remained a close friend of Fukagawa's and a promoter of 'sangaku' until his death in 1998.
Who first introduced sangaku to the world." For extracts from some reviews of Pedoe's Japanese Temple Geometry Problems see THIS LINK. Among the honours that Pedoe received we mention the Senior Fulbright Fellowship he was awarded which enabled him to visit Australia and the Mathematical Association of America's Lester Ford Award which he received in 1968. Among his hobbies we must mention that he was an excellent painter in oils and his work was exhibited in several exhibitions. He died of pneumonia at the age of 87, two days before his 88th birthday. Finally let us say a little about Pedoe's twin sons Dan Tunstall Pedoe and Hugh Tunstall Pedoe. Dan studied at Cambridge and Oxford becoming a cardiologist and leading expert on sports medicine. He was the founding chief medical officer of the London marathon, being the medical director of the marathon for 25 years. He died of a heart attack in London on 13 February 2015 at the age of 75. Hugh also trained in medicine and cardiology and worked for 34 years for the World Health Organisation. He became Professor of Cardiovascular Epidemiology at the University of Dundee, Scotland, in 1981 where he is now professor emeritus.